Organza Shimmer Coat is an Acrylic, water based cream used to enhance your painted finish by adding a sheer metallic touch of elegance. 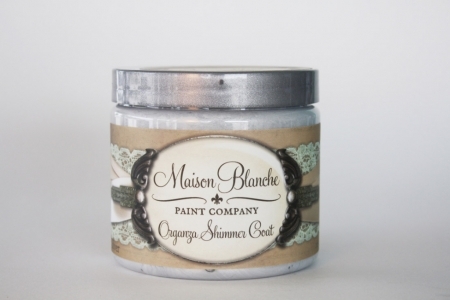 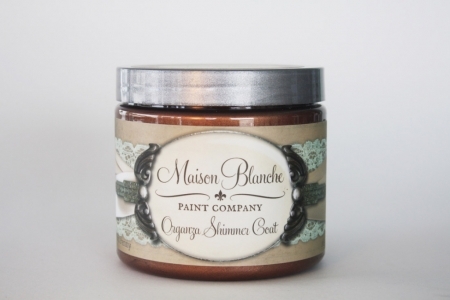 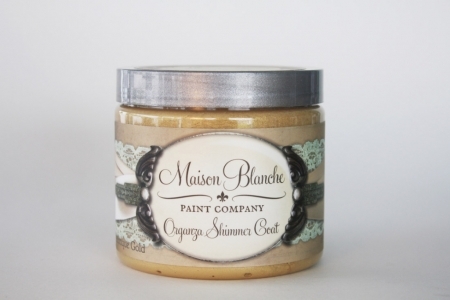 Use Organza in conjunction with other Maison Blanche Company products to achieve delicately shimmering glamour. Organza is a thick, rich, sparkling gel cream that has no unpleasant smell and is quick drying. To Use: Apply a very thin layer of Organza to your unwaxed piece that has been painted with Maison Blanche Furniture Paint. 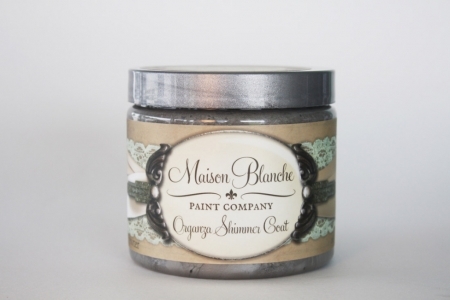 Apply Organza sparingly with a paint brush, soft cloth, or dense sponge. 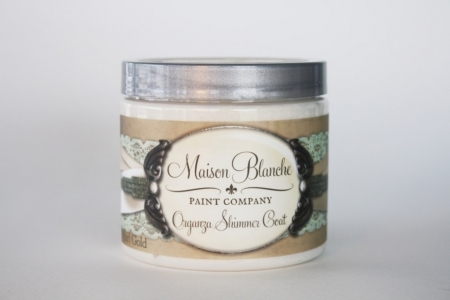 Buff gently with a soft cloth and allow to dry completely.